Pink Floyd are the premier space-rock band. Since the mid-'60s, their music has relentlessly tinkered with electronics and all manner of special effects to push pop formats to their outer limits. At the same time they have wrestled with lyrical themes and concepts of such massive scale that their music has taken on almost classical, operatic quality, in both sound and words. Despite their astral image, the group were brought down to earth in the 1980s by decidedly mundane power struggles over leadership and, ultimately, ownership of the band's very name. Since that time, they've been little more than a dinosaur act, capable of filling stadiums and topping the charts, but offering little more than a spectacular recreation of their most successful formulas. Their latter-day staleness cannot disguise the fact that, for the first decade or so of their existence, they were one of the most innovative groups around, in concert and (especially) in the studio. While Pink Floyd are mostly known for their grandoise concept albums of the 1970s, they started as a very different sort of psychedelic band. Soon after they first began playing together in the mid-'60s, they fell firmly under the leadership of lead guitarist Syd Barrett, the gifted genius who would write and sing most of their early material. The Cambridge native shared the stage with Roger Waters (bass), Rick Wright (keyboards), and Nick Mason (drums). The name Pink Floyd, seemingly so far-out, was actually derived from the first names of two ancient bluesmen (Pink Anderson and Floyd Council). And at first, Pink Floyd were a much more conventional act that the act into which they would evolve, concentrating on the rock and R&B material that were so common to the repertoires of mid-'60s British bands. Pink Floyd quickly began to experiment, however, stretching out songs with wild instrumental freak-out passages incorporating feedback, electronic screeches, and unusual, eerie sounds created by loud amplification, reverb, and such tricks as sliding ball bearings up and down guitar strings. In 1966, they began to pick up a following in the London underground; onstage, they began to incorporate light shows to add to the psychedelic effect. Most importantly, Syd Barrett began to compose pop-psychedelic gems that combined unusual psychedelic arrangements (particularly in the haunting guitar and celestial organ licks) with catchy melodies and incisive lyrics that viewed the world with a sense of poetic, child-like wonder. The group landed a recording contract with EMI in early 1967 and made the Top 20 with a brilliant debut single, "Arnold Layne," a sympathetic, comic vignette about a transvestite. The follow-up, the kaleidoscopic "See Emily Play," made the Top Ten. The debut album, The Piper at the Gates of Dawn, also released in 1967, may have been the greatest British psychedelic album other than Sgt. Pepper's. Dominated almost wholly by Barrett's songs, the album was a charming funhouse of driving, mysterious rockers ("Lucifer Sam"), odd character sketches ("The Gnome"), childhood flashbacks ("Bike," "Matilda Mother"), and freakier pieces with lengthy instrumental passages ("Astronomy Domine," "Interstellar Overdrive," "Pow R Toch") that mapped out their fascination with space travel. The record was not only like no other at the time; it was like no other that Pink Floyd would make, colored as it was by a vision that was far more humorous, pop-friendly, and light-hearted than those of their subsequent epics. The reason Pink Floyd never made a similar album was that Piper was the only one to be recorded under Barrett's leadership. Around mid-1967, the prodigy began showing increasingly alarm signs of mental instability. Syd would go catatonic onstage, playing music that had little to do with the material, or not playing at all. An American tour had to be cut short when he was barely able to function at all, let alone play the pop star game. Dependent upon Barrett for most of their vision and material, the rest of the group were nevertheless finding him impossible to work with, live or in the studio. Around the beginning of 1968, guitarist Dave Gilmour, a friend of the band who was also from Cambridge, was brought in as a fifth member. 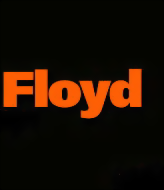 The idea was that Gilmour would enable the Floyd to continue as a live outfit; Barrett would still be able to write and contribute to the records. That couldn't work either, and within a few months Barrett was out of the group. 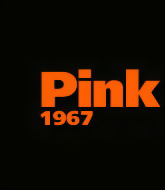 Pink Floyd's management, looking at the wreckage of a band that was now without its lead guitarist, lead singer, and primary songwriter, decided to abandon the group and manage Syd as a solo act. Such calamities would have proven insurmountable for 99 out of 100 bands in similar predicaments. Incredibly, Pink Floyd would regroup and not only maintain their popularity, but eventually become even more successful. It was early in the game yet, after all; the first album had made the British Top Ten, but the group were still virtually unknown in America, where the loss of Syd Barrett meant nothing to the media. Gilmour was an excellent guitarist, and the band proved capable of writing enough original material to generate further ambitious albums, Waters eventually emerging as the dominant composer. The 1968 follow-up to Piper at the Gates of Dawn, A Saucerful of Secrets, made the British Top Ten, using Barrett's vision as an obvious blueprint, but taking a more formal, somber, and quasi-classical tone, especially in the long instrumental parts. Barrett, for his part, would go on to make a couple of interesting solo records before his mental problems instigated a retreat into oblivion (see separate entry on Syd Barrett for more details). Over the next four years, Pink Floyd would continue to polish their brand of experimental rock, which married psychedelia with ever-grander arrangements on a Wagnerian operatic scale. Hidden underneath the pulsing, reverberant organs and guitars and insistently restated themes were subtle blues and pop influences that kept the material accessible to a wide audience. Abandoning the singles market, they concentrated on album-length works, and built a huge following in the progressive rock underground with constant touring in both Europe and North America. While LPs like Ummagumma (divided into live recordings and experimental outings by each member of the band), Atom Heart Mother (a collaboration with composer Ron Geesin), and More...(a film soundtrack) were erratic, each contained some extremely effective music. By the early '70s Syd Barrett was a fading or nonexistent memory for most of Pink Floyd's fans, although the group, one could argue, never did match the brilliance of that somewhat anamolous 1967 debut. Meddle (1971) sharpened the band's sprawling epics into something more accessible, and polished the science-fiction ambience that the group had been exploring ever since 1968. Nothing, however, prepared Pink Floyd or their audience for the massive mainstream success of their 1973 album, Dark Side of the Moon, which made their brand of cosmic rock even more approachable with state-of-the-art production, more focused songwriting, an army of well-time stereophonic sound effects, and touches of saxophone and soulful female backup vocals. Dark Side of the Moon finally broke the Pink Floyd as superstars in the United States, where it made #1. More astonishingly, it made them one of the biggest-selling acts of all time. Dark Side of the Moon spent an incomprensible 741 weeks on the Billboard album chart. Additionally, the primarily instrumental textures of the songs helped make Dark Side of the Moon easily translatable on an international level, and the record became (and still is) one of the most popular rock albums worldwide. It was also an extremely hard act to follow, although the follow-up, Wish You Were Here (1975), also made #1, highlighted by a tribute of sorts to the long-departed Barrett, "Shine On You Crazy Diamond." Dark Side of the Moon had been dominated by lyrical themes of insecurity, fear, and the cold sterility of modern life; Wish You Were Here and Animals (1977) developed these morose themes even more explicitly. By this time Waters was taking a firm hand over Pink Floyd's lyrical and musical vision, which was consolidated by The Wall (1979). The bleak, overambitious double concept album concerned itself with the material and emotional walls modern humans build around themselves for survival. The Wall was a huge success (even by Pink Floyd's standards), in part because the music was losing some of its heavy-duty electronic textures in favor of more approachable pop elements. Although Pink Floyd had rarely even released singles since the late '60s, one of the tracks, "Another Brick in the Wall," became a transatlantic #1. The band had been launching increasingly elaborate stage shows throughout the '70s, but the touring production of The Wall, featuring a construction of an actual wall during the band's performance, was the most excessive yet. In the 1980s, the group began to unravel. Each of the four had done some side and solo projects in the past; more troublingly, Waters was asserting control of the band's musical and lyrical identity. That wouldn't have been such a problem had The Final Cut (1983) been such an unimpressive effort, with little of the electronic innovation so typical of their previous work. Shortly afterward, the band split up -- for a while. In 1986, Waters was suing Gilmour and Mason to dissolve the group's partnership (Wright had lost full membership status entirely); Waters lost, leaving a Roger-less Pink Floyd to get a Top Five album with Momentary Lapse of Reason in 1987. In an irony that was nothing less than cosmic, about 20 years after Pink Floyd shed its original leader to resume its career with great commercial success, they would do the same again to his successor. Waters released ambitious solo albums to nothing more than moderate sales and attention, while he watched his former colleagues (with Wright back in tow) rescale the charts. Pink Floyd still have a huge fan base, but there's little that's noteworthy about their post-Waters output. They know their formula, they can execute it on a grand scale, and they can count on millions of customers -- many of them unborn when Dark Side of the Moon came out, and unaware that Syd Barrett was ever a member -- to buy their records and see their sporadic tours. 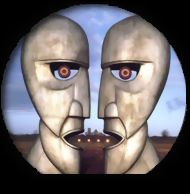 The Division Bell, their first studio album in seven years, topped the charts in 1994 without making any impact on the current rock scene, except in a marketing sense. Ditto for the live Pulse album, recorded during a typically elaborately staged 1994 tour, which included a concert version of The Dark Side of the Moon in its entirety. Waters' solo career sputtered along, highlighted by a solo recreation of The Wall, performed at the site of the former Berlin Wall in 1990, and released as an album. Syd Barrett, it was reported in the summer of 1996, was lying ill in a Cambridge hospital, unable or unwilling to regulate his diabetic condition.